Arbor West Tree Surgeons Inc. offers a wide variety of tree services throughout San Diego for both residential and commercial customers. Our experts will survey your property and develop the best strategy to remove your trees utilizing safe, effective methods that will safeguard your property. Over trimming can damage your trees. Turn to our experienced and certified arborists to ensure your trees are properly trimmed. Whether it for tree health, the look of your property, or to avoid dangerous situations by removing diseased or damaged limbs, you can trust Arbor West to get the job done right. Storms bring strong winds and lightning that can bring down heavy limbs and even entire trees. The result is a dangerous situation and potentially further damage to property. Never attempt to clear fallen trees and heavy limbs on your own. Call the professionals at Arbor West Tree Surgeons, Inc. Our emergency services are available 24 hours a day, 7 days a week. Stumps leftover from tree removal are not only an eyesore, but can be a hazard for people and vehicle traffic. But stump grinding is a dangerous task, requiring skilled workers and commercial grade equipment. It should never be attempted by home owners. Arbor West Tree Surgeon's experts have the equipment and the skill to complete the job successfully. Our stump grinding process leaves you with cleared ground, ready for landscaping. Hundreds of tree diseases exist that can bring about disease and cause trees to grow improperly, branches to weaken and break, whole trees to fall, or even completely die. Our professional personnel are completely trained in the identification and treatment of tree disease with the capability to design an ongoing care program to safeguard your trees health. Trees provide beauty and enjoyment to our outdoor living areas while also enhancing the curbside appeal of our homes and businesses. That's why the decision to remove a tree is seldom an easy choice to make. But sometimes disease, age and damage from storms take their toll on even healthy trees, young and old. Tree removal becomes necessary to avoid the safety threat of falling limbs or even entire trees. Hiring an expert for safe tree removal becomes your best option. While storm damage and disease are the most common reasons for tree removal, there are other situations that may have you seeking out professional help. Examples include clearing a building site for new construction, renovation or expansion. Or, opting to lighten a thick canopy of trees so that surface vegetation can receive adequate sunlight. Other times, trees may be encroaching on structures or a neighbor's property. At Arbor West Tree Surgeons Inc., we understand that when tree removal becomes necessary, you need to count on knowledgeable and experienced professionals who can arrive on schedule, and get the job done promptly and efficiently, without damaging your property or leaving a big mess behind. Trees play an essential role in a healthy ecosystem. But sadly, dead trees and those ravaged by storms or disease almost always have compromised structure and strength. These situations threaten not only nearby property, but carry the threat of injury or death to people and pets. It can be tempting, but never try to remove the offending branches or take down an entire tree with the help of a few friends. The results can be devastating. Such tasks should be left to professionals. Choosing a tree removal company to solve your tree problem can seem like a daunting task, requiring you to rely on search engine results or comb through mountains of yellow page listings. Make the decision an easy one. Put Arbor West Tree Surgeons to work for you. With so much on the line, you want a tree care service you can depend on. Arbor West Tree Surgeons Inc. has built a strong reputation based on years of experience and top-shelf customer service. 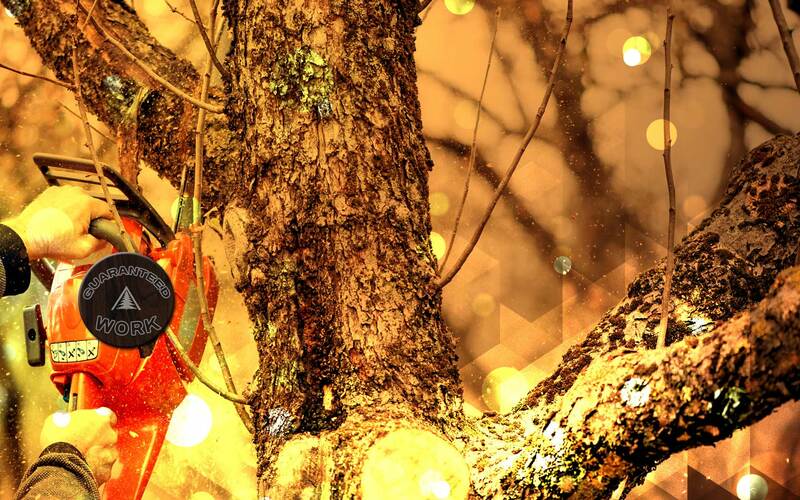 Advanced rigging techniques, reliable equipment, industry-proven safety measures and sizable crews assure you that your tree project will take place efficiently and effectively, on schedule and at a competitive price. Afterward, we clean up all debris. No job is complete until you say it is. Regular trimming keeps tree growth from getting out of control, while also serving to remove damaged or dead limbs. The result is a stronger tree with sturdy structure and healthy growth. In fact, the health, growth and beauty of trees and similar plants is greatly enhanced with regular trimming and pruning. In addition to improving the look of your landscaping efforts, regular maintenance helps to keep disease at bay. Trees of all ages can benefit from scheduled trimming, with young trees pruned as a way to properly guide growth. When you choose the experienced professionals at Arbor West Tree Surgeons Inc. for your tree and palm pruning needs, you avoid the risk of damage associated with improper pruning practices. Having confidence in our certified arborists to do the job quickly and correctly is important since improper technique can lead to irreparable damage. Over-trimming does more than destroy a tree's natural beauty. Damaged limbs could end up causing injury if not property maintained. Large, exposed areas left over from improper trimming and pruning leaves trees susceptible to infection and disease. Even the loss of too much foliage can leave a tree starving for energy or promote excessive new growth, contributing to breakage. You do not want this to happen to your trees. Crown thinning. Thinning allows light and wind to penetrate, while reducing excessive limb weight. Crown cleaning. Dead limbs are identified and removed. Crown raising. Our professionals can analyze the best pruning approach for your trees and, when necessary, the lower edge of the tree's crown is trimmed to allow for vehicles and pedestrian clearance based on municipality specifications. Obstruction clearance. 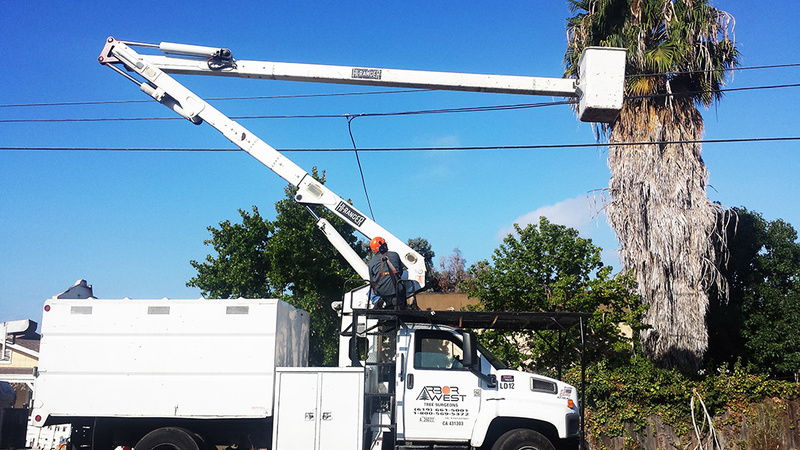 Trimming ensures clearance of buildings, light poles, signs and utility service equipment with exclusion of high-voltage lines. Limb pruning and reduction. Overly heavy branches and limbs become prone to breakage. We will prune these areas and remove limbs as necessary to avoid this hazard. Topping. This procedure will only be performed under the recommendation of one of our certified arborists and only to solve a specific problem in certain tree species. Crown reduction. If necessary, our certified tree care experts will reduce the crown to improve appearance or address excessive weight at limb end. Palm pruning. 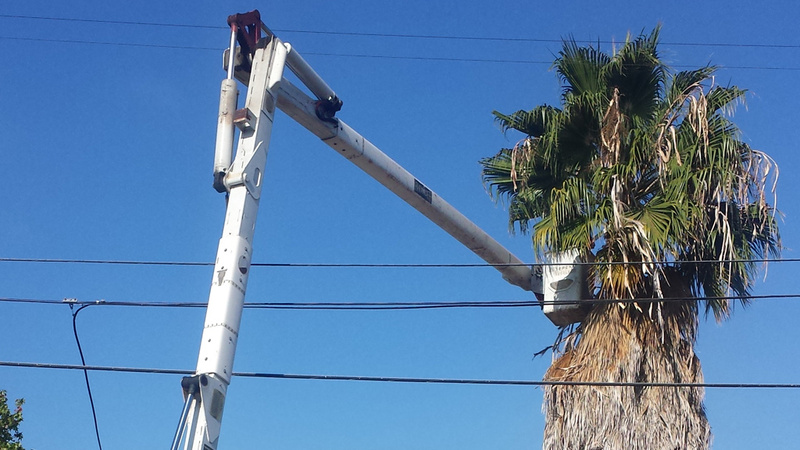 Years of experience have taught us how to prune palms properly and consistently at a 45-degree angle. Contact us today at (800) 569-5372 to schedule service for any residential or commercial tree care need. Strong winds and lightning can raise havoc with trees, snapping even heavy branches and downing mature trees. A tree limb falling on your roof, car or fence would be disastrous. Equally so, if your tree were to crash onto your neighbor's property. That's when a tree care service becomes necessary. Put your emergency in our hands. Our trained experts are dispatched to your property without delay where they will assess your situation and get started on a plan of action to manage liability, clear fallen limbs and return your property to a safe and peaceful environment. We make human safety our utmost priority. Emergency situations that pose a risk to human life are our most immediate concern. We respond quickly, arrive at your property and begin work to clear the most dangerous debris, such as limbs that have fallen into power lines or blocking roadways. An emergency situation involving your trees is not the time to introduce yourself to tree care or enlist the aid of equally untrained folks around you to tackle the situation. Home owners risk injury and potentially death, by attempting to do the job themselves. 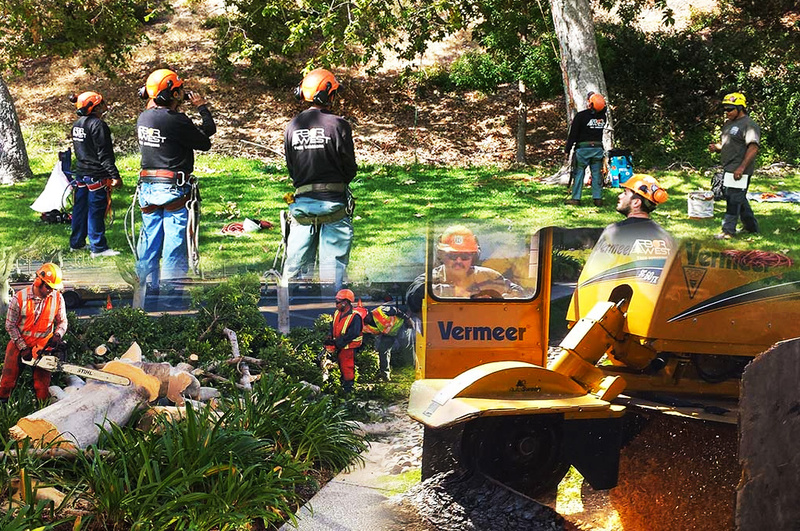 No matter the emergency, Arbor West has the experience, qualifications and equipment to address any type of tree removal emergency in the greater San Diego area. From downed power lines to fallen tree limbs, we are prepared to serve your needs. Avoiding Emergencies While tree removal emergencies caused by storm damage can't be prevented, risky situations can often be avoided with ongoing tree inspection and necessary trimming. Our certified arborists can inspect trees to determine risk due to structural instability, then recommend a plan of action to safely address the situation and avoid future problems. In some cases, pruning and trimming may not be enough. 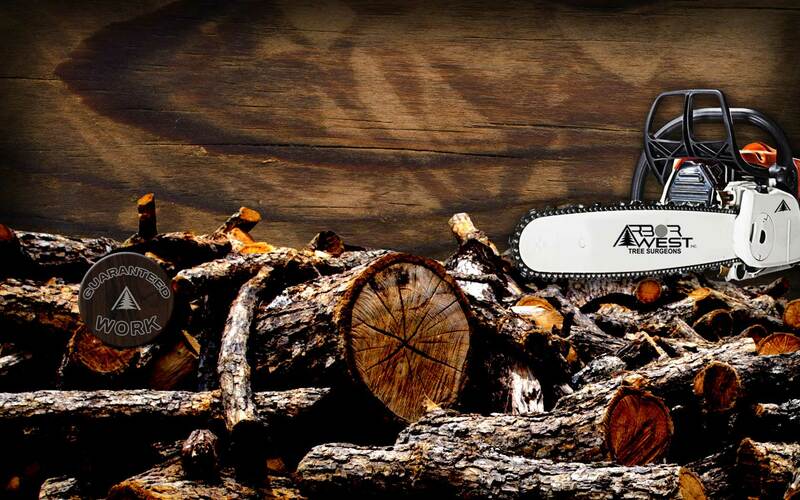 Bracing or even complete tree removal may be necessary. A regular schedule of thinning and trimming will improve wind flow. This can prevent broken branches by lessening the force against them. Typically, trees are so easy to care for that many property owners do not give them much thought. But there are challenges that can arise, risking the health of your trees. Having the experts from Arbor West Tree Surgeons Inc. on your side means you have peace of mind, knowing your trees will be professionally diagnosed and a course of treatment implemented if necessary. Hundreds of tree diseases exist that can bring about disease and cause trees to grow improperly. Sometimes, trees are even lost completely to disease. Since the good health of your trees is very important to your outdoor environment and the beauty of your property, Arbor West Tree Surgeons Inc. offers tree health diagnostics and, if needed, tree injections. Our professional personnel are completely trained in the identification and treatment of tree disease. We also have the capabilities to design an ongoing care program to safeguard tree health. Diagnosing Tree Health Our experienced arborists have a deep knowledge of trees and are able to properly diagnose any diseases or infections that crop up. While many issues are easily identified by trained arborists, there are other issues that require special diagnostics. If the latter becomes the case, rest assured we have the ability to properly diagnosis your tree's ill health and suggest a plan of action to improve the chance of putting it back on the path to good health. Avoiding Hazardous Situations Storm situations with lightning and strong winds can bring down large branches and even entire trees during a storm. But what you may not know is that often this wouldn't occur if the tree wasn't already compromised somewhat due to disease or even death. Keep those around you safe, as well as yourself, by making the decision to begin monitoring tree health. Then, call the experts at Arbor West Tree Surgeons Inc. at the first sign of trouble. We can also help you put together an ongoing tree care plan, the easy way to care for your trees. Identifying Solutions While every situation is different, concerns over tree disease can often be handled with proper diagnosis and treatment. This is particularly true when the disease is caught in the early stages. In some situations, removing the diseased tree limb or branch is the best plan of work. Proper pruning or trimming can often alleviate health concerns by completely removing the diseased parts. We will do whatever is necessary to get your tree back on the road to good health. If the situation warrants it, we will recommend tree removal, but take confidence in knowing we see removal of a diseased tree as a last resort, something not to be taken lightly. You may not be able to recognize a sick tree by . That's all the more reason to call the professionals at Arbor West Tree Surgeons Inc. Since 1985, Arbor West Tree Surgeons has offered its customers all phases of tree care, from tree trimming to tree removals to stump grinding. We are a full-service tree care company, serving commercial and residential customers throughout the greater San Diego area. In addition to a full array of tree care services, Arbor West Tree Surgeons provides impeccable ethics, complete job satisfaction and safety assurance for your peace of mind. Our owner, Eugene Schwartz, first started his own business, J&S Tree Company, in Portland, Ore., back in 1976. The company was reinvented as Brother's Tree Company two years later. But Portland's weather soon had Eugene seeking out sunnier skies, which prompted a move to San Diego and a position with The Davey Tree Company from 1978 to 1980, and later as head climber for the San Diego Zoo till 1981. It was during this period that he launched a new company, Arbor West Tree Surgeons, becoming a licensed contractor and certified arborist. Arbor West Tree Surgeons became incorporated in 2002. Impeccable ethics, honesty, and a willingness to strive consistently for the highest-quality service. Total satisfaction guarantee on every job. We aren't finished until you are pleased with the results. Quick response to your tree service needs, including 24-hour emergency service. Strict safety policy and training. We won't cut corners. Ever. 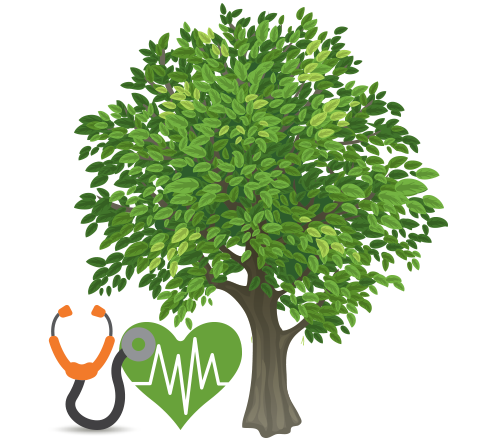 All tree care employees qualify as certified arborists. 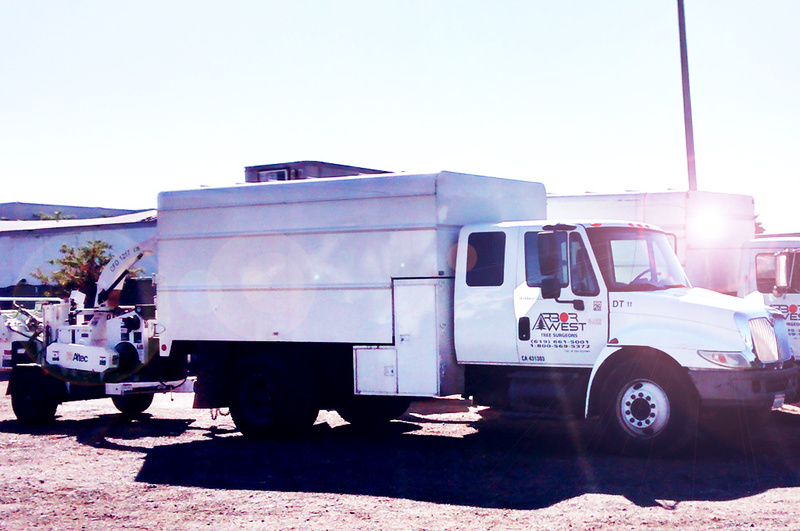 Capacity to respond to your situation efficiently, with nine to 10 crews available to meet a multitude of client needs. A full $5,000,000.00 in general liability insurance for your peace of mind. Contact us today at (619) 661-5001 to schedule service for any residential or commercial tree care need. Arbor West Tree Surgeons Inc. offers a wide variety of tree management and removal services for our residential customers. Regular tree trimming and thinning as well as emergency services are available. Contact us today to discuss all your residential tree care needs. Trees beautify your environment and improve your property's value. But sometimes, disease, storm damage or even the need to address encroachment mean a tree must be removed. You may be tempted to enlist the help of a few friends and attempt to remove the tree yourself, hoping to save on costs of hiring a qualified tree removal service. However, that attempt to save a few dollars could end up costing a life. Too often, home owners are injured or even killed because they have attempted to remove trees on their own without proper training or the use of safety-tested, commercial-grade equipment. Arbor West Tree Surgeons Inc. takes every precaution when providing tree removal services to keep you, your family and neighbors safe from harm. We will also safeguard your property. Why risk injury to yourself and those around you? Call our professionals and get the results you want, without the risks. When you've put time and resources into beautifying the outdoor spaces of your residence, you need to protect your investment by keeping it looking its best. Most trees and palms thrive from regular trimming and thinning. Implementing a regular tree care program helps to promote healthy growth and contributes to structural strength. But you run the risk of damaging young trees by pruning without proper tree care experience. Larger trees present the added risk of injury or even death from attempts to remove heavy or high branches. Our licensed arborists can discuss a trimming and pruning program tailored to meet the needs of all your trees and palms. Enlisting the assistance of a professional assures your trees are not damaged, and you and your loved ones are not put at risk. Stumps leftover from tree removal are not only an eyesore, but can be a hazard for people and vehicle traffic. But stump grinding is a dangerous task, requiring skilled workers and commercial grade equipment. It should never be attempted by home owners. 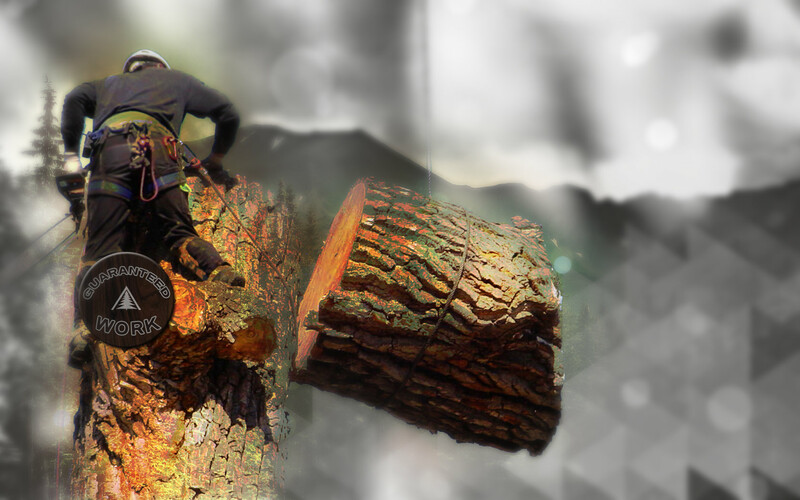 Not every tree care services are willing to make the investment necessary to offer professional stump grinding services. But Arbor West Tree Surgeon's experts have the equipment and the skill to complete the job successfully. Our stump grinding process leaves you with cleared ground, ready for landscaping. Arbor West Tree Surgeons, Inc. ("us", "we", or "our") operates the www.arborwesttree.com website (the "Service").